As of March 18, 2019, Governor Ron DeSantis has made smokable medical marijuana legal in the state of Florida. 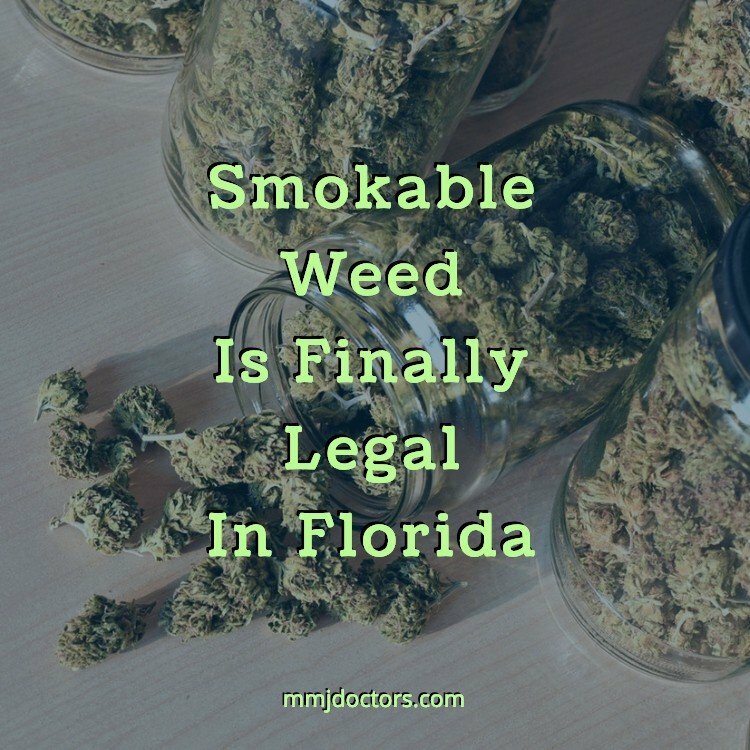 This means that all qualifying Florida medical marijuana patients can be administered smokable marijuana if their doctor approves it. At MMJ Doctors, we are happy to finally be able to share these exciting news with you. Yes, you are now able to get weed in Miami for smoking legally for medical use. Where Do I Get Smokable Marijuana in Miami? Many dispensaries in South Florida are ready to provide smokable marijuana products to customers, just as soon as proper guidelines are provided. These stores include Trulieve and Curaleaf, who will be able to provide these products in their dispensaries, as well as to the doctors who order them. Surterra Wellness says it will sell pre-roll cannabis cigarettes in a variety of types, along with whole flower products. While the law of smokable marijuana is now official, as it went into effect immediately, things still need to be worked out among the lawmakers and distributors. The inaction of the law means that the official rules concerning smokable marijuana need to be outlined so that the people who need this form of treatment get it as soon as it is available. In the meantime, you can learn what you the patient should do in the interim, and what your physician will also have to do, as soon enough you will be able to get weed in Miami in every state licensed dispensary. How Do I Gain Access to Smokable Weed in Miami? 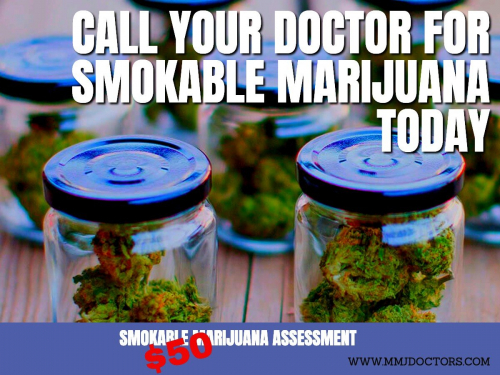 A regular, qualifying patient must first fill out paperwork understanding the health risks involved with smokable marijuana before buying any products. Any new patients can be approved by signing up for medical marijuana the way it has been done previously, just with the added option of smoking. In addition to the same documents are filled out by both new and existing patients there is some some extra paperwork involved. It’s also important to understand that the process for getting smokable medical marijuana has various parts to it. For patients, it’s fairly simple: Sign documents that provide consent and an understanding of the risks involving smoking marijuana. Along with these documents, you must give the reasons for why you would like to be approved for smokable marijuana. If you are under the age of 18, you cannot be approved unless you have a terminal disease; in these cases, a legal guardian will sign for the documentation. As there is a process involved, don’t wait too long; contact us now to legally get weed in Miami or anywhere else in Florida tomorrow. This documentation must be taken by a qualified physician and sent out for approval to a medical board. The medical board might take some time in establishing its rules regarding smokable marijuana, but the physician will be able to use the board’s drafts to fill out the documentation pertaining to the patients in question. These same documents can be amended if the board’s statutes reflect different information as shown originally in the drafts. The physician must also update patient information to the Medical Marijuana Use Registry that indicates they can purchase smokable marijuana; otherwise, the patient will not be allowed to buy the product. This updated info must also include how much smokable marijuana is being prescribed for the patient. Currently, marijuana is being measured in ounces, and no requested amount can exceed 2.5 ounces within 35 days. Caregivers and patients can have no more than 4 ounces in their possession. Whether you are an existing patient on the Florida Medical Marijuana Registry waiting to get meed in Miami for smoking, or just looking to become a patient, MMJ Doctors Miami is here to guide you every step of the way. Contact us today: call our toll-free number 1-888-578-6704 or visit our page to schedule an appointment.